4 Pack 150 sheet - Extra strong and incredibly soft, Select bath tissue is the perfect combination of comfort and dependability. 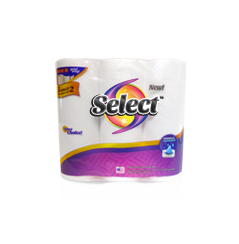 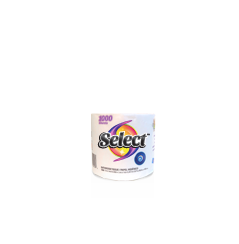 Extra strong and incredibly soft, Select bath tissue is the perfect combination of comfort and dependability. 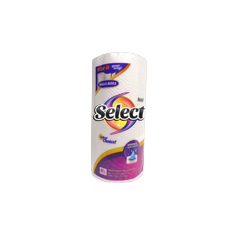 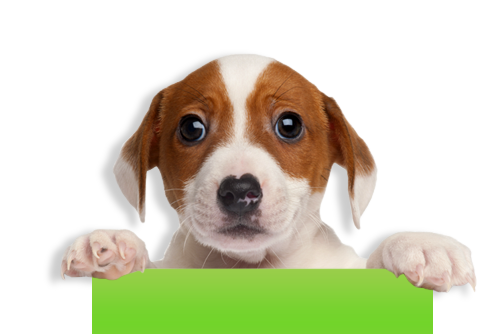 4 pack - Extra strong and incredibly soft, Select bath tissue is the perfect combination of comfort and dependability. 12 pack - Extra strong and incredibly soft, Select bath tissue is the perfect combination of comfort and dependability. 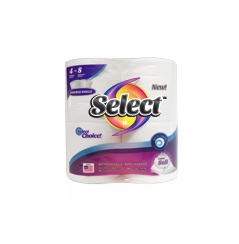 6 pack - Extra strong and incredibly soft, Select bath tissue is the perfect combination of comfort and dependability. 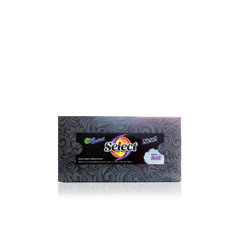 80 ct Black - Silky-gentle and remarkably durable, Select facial tissues never tear and always provide soothing comfort. 80 ct Blue - Silky-gentle and remarkably durable, Select facial tissues never tear and always provide soothing comfort. 80 ct Green - Silky-gentle and remarkably durable, Select facial tissues never tear and always provide soothing comfort. 80 ct Orange - Silky-gentle and remarkably durable, Select facial tissues never tear and always provide soothing comfort. 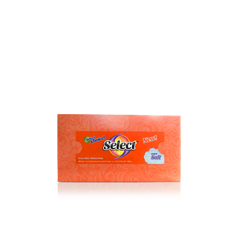 80 ct Peach - Silky-gentle and remarkably durable, Select facial tissues never tear and always provide soothing comfort. 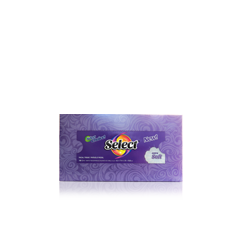 80 ct Purple - Silky-gentle and remarkably durable, Select facial tissues never tear and always provide soothing comfort. 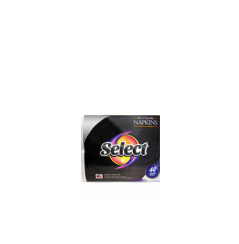 160 ct Black - Silky-gentle and remarkably durable, Select facial tissues never tear and always provide soothing comfort. 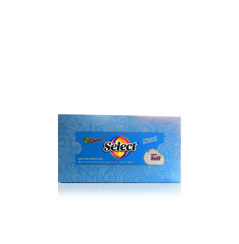 160 ct Blue - Silky-gentle and remarkably durable, Select facial tissues never tear and always provide soothing comfort. 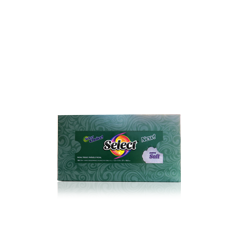 160 ct Green - Silky-gentle and remarkably durable, Select facial tissues never tear and always provide soothing comfort. 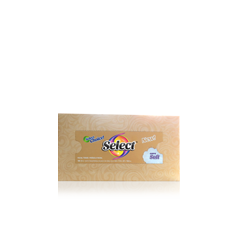 160 ct Peach - Silky-gentle and remarkably durable, Select facial tissues never tear and always provide soothing comfort. 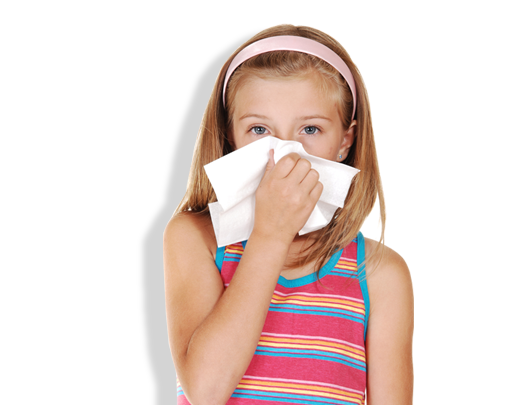 160 ct Purple - Silky-gentle and remarkably durable, Select facial tissues never tear and always provide soothing comfort. 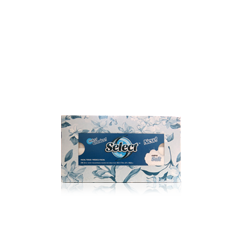 216 ct Floral Blue - Silky-gentle and remarkably durable, Select facial tissues never tear and always provide soothing comfort. 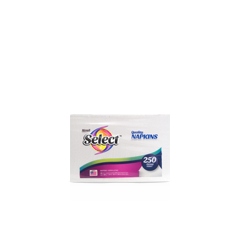 216 ct Floral Pink - Silky-gentle and remarkably durable, Select facial tissues never tear and always provide soothing comfort. 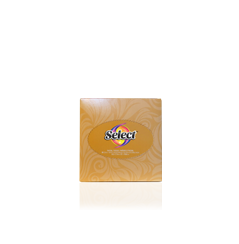 216 ct Floral Yellow - Silky-gentle and remarkably durable, Select facial tissues never tear and always provide soothing comfort. 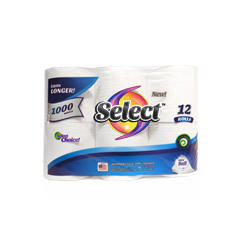 150 ct - Tough on messes while easy on hands and faces, Select napkins are the perfect addition to any meal. 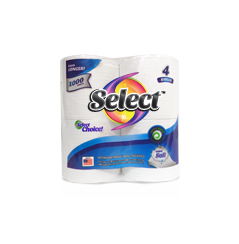 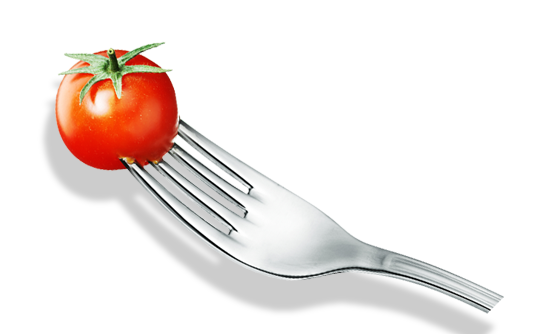 250 ct - Tough on messes while easy on hands and faces, Select napkins are the perfect addition to any meal. 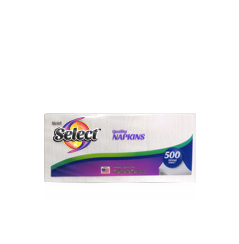 500 ct - Tough on messes while easy on hands and faces, Select napkins are the perfect addition to any meal. 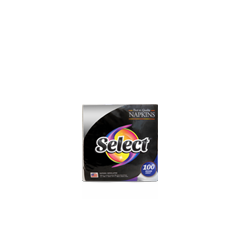 40 ct 3 ply - Tough on messes while easy on hands and faces, Select napkins are the perfect addition to any meal. 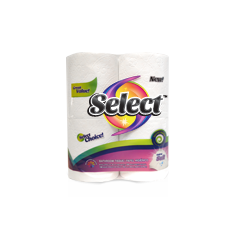 100 ct 2 ply - Tough on messes while easy on hands and faces, Select napkins are the perfect addition to any meal. 8 pack - Designed for maximum absorption and durability, Select paper towels can handle the toughest mess with a single sheet. 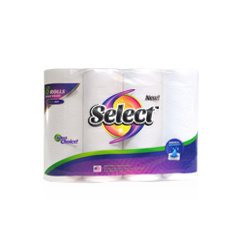 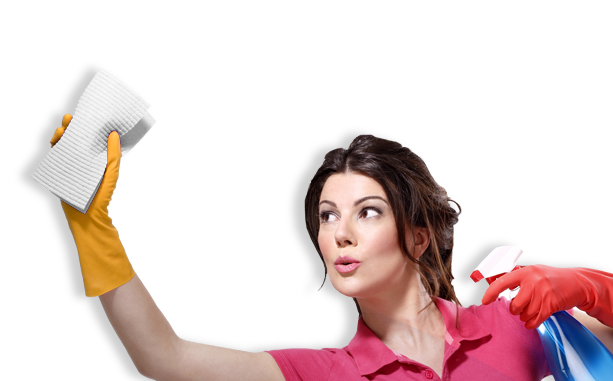 Designed for maximum absorption and durability, Select paper towels can handle the toughest mess with a single sheet. 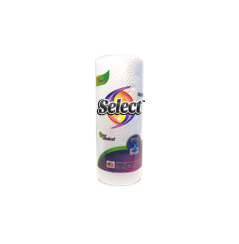 3 pack – “Size it your way” - Designed for maximum absorption and durability, Select paper towels are double-perforated, so you can choose the right size for every spill, large or small. – “Size it your way” 142 ct - Designed for maximum absorption and durability, Select paper towels are double-perforated, so you can choose the right size for every spill, large or small. 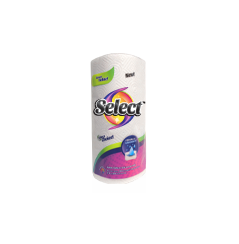 Single 60 ct - Designed for maximum absorption and durability, Select paper towels can handle the toughest mess with a single sheet.